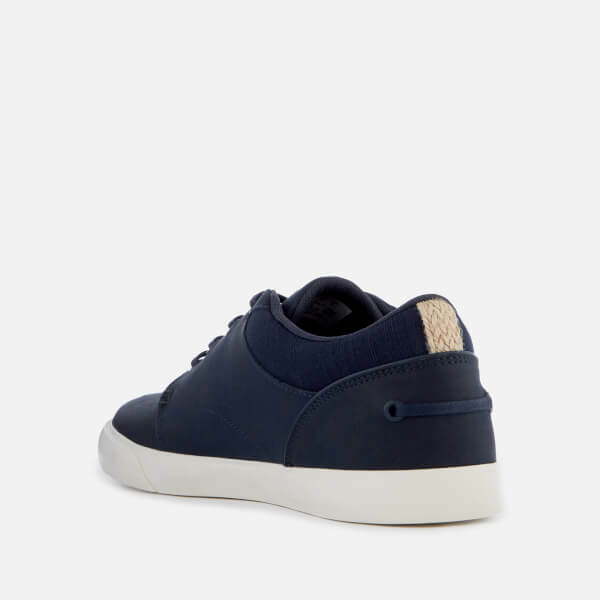 Navy blue low-top sneakers from Lacoste. 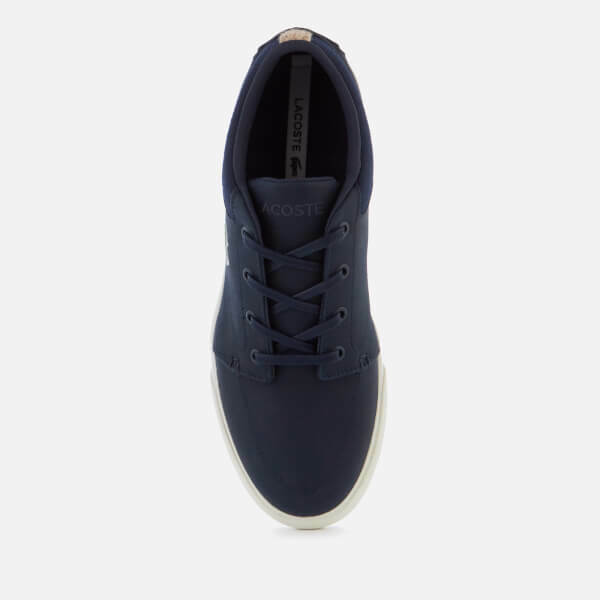 Crafted with soft treated leather with a slightly suede-like texture, the ‘Bayliss 119 1’ trainers feature a round toe, four-eyelet lace-up with tonal waxed cotton laces and a padded collar made from breathable textile. 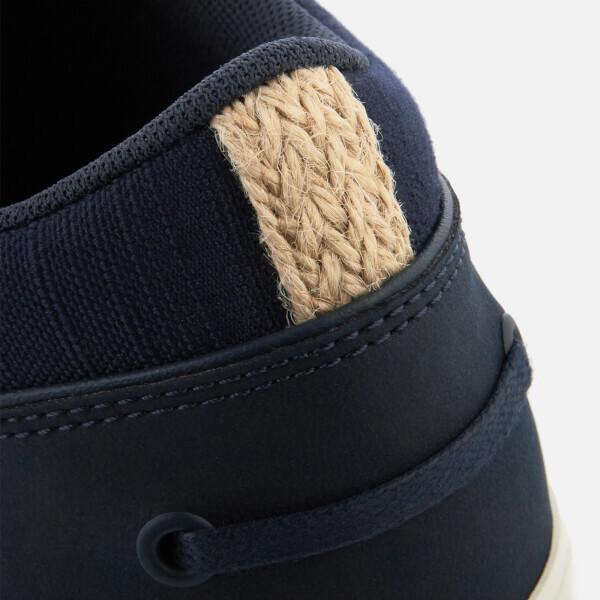 Embellished with jute rope and lace detailing, the sneakers sit atop a white rubber sole and are fitted with cushioned Ortholite™ linings for optimum comfort. 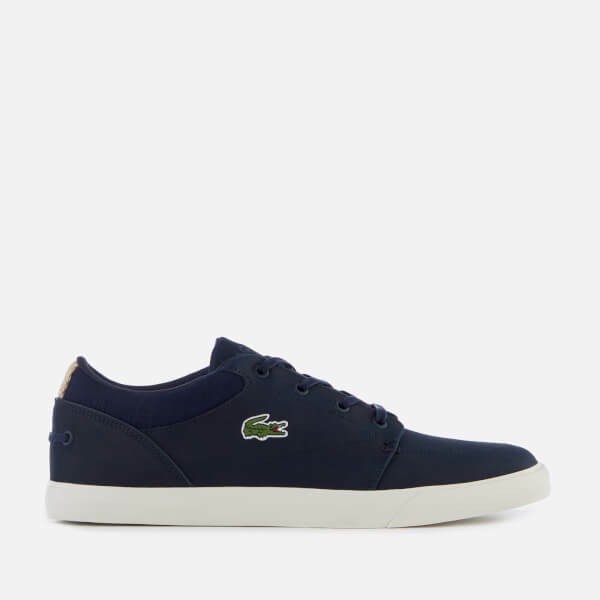 Complete with Lacoste branding on the tongue and signature crocodile motif embroidery on the outer foot.